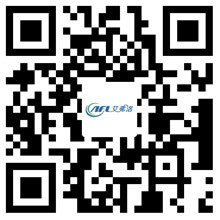 The Method of AC Centrifugal Fan Preventing Blade Wear - Hangzhou Airflow Electric Appliances Co.,Ltd. AC centrifugal fan is a typical way to improve the skill route, try to place the centrifugal fan after the dust collector, such as: the fan placed in the humidification tower or pipe after the wet, To avoid the wear of the fan, the appearance of posting or welding of ceramic, wear-resistant engineering ceramics using high-strength high-temperature adhesive or special welding skills in the fan blade on the surface, the skills to deal with anti-shedding problems. Plasma surfacing, Deformation of large, AC centrifugal fan to understand that this repeated welding will cause the cracks in the foliage, prone to trouble.To the appearance of the blade can be carburizing, carburizing skills difficult, the practice of carburizing, carburizing layer of the location and thickness of the blade Thickness and wear conditions as well as carburizing skills. Apply a ceramic or tungsten carbide or tungsten carbide alloy to the worn appearance of the blade. AC centrifugal fan know that the use of centrifugal fans for users, wear problems are everywhere, then the centrifugal fan in the course of the wear and tear will be divided into a variety of conditions, mainly refers to the wear between the bearings, then the impeller, machine The wear and tear of these weary appearance of the words will be directly caused by the role of the fan can not play out, because the wear and tear than the price, we in this chapter mainly to the impeller wear doubt starting point, the exchange blower to seek for the user to find a few to deal with impeller wear doubt The way and the trick, so that can be very good use of the fan. AC centrifugal fan for the reduction of the impeller wear method also requires users to start from the anti-corrosion, many times the fan corrosion will exacerbate the wear of the fan appearance, so as to ease the use of corrosion in the fan appearance, but also the use of fans in the process of the need to discuss Of a topic, the exchange of blowers to ensure the smooth fan who is only from these aspects to start is not enough, we all know that the fan can not adhere to the longest use of the role, and the usual degree of protection of the fan is inseparable , A perfect conservation plan is the user must have.